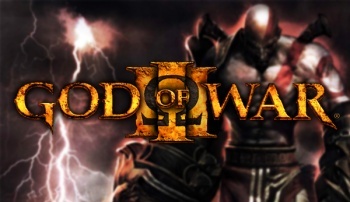 SpikeTV sent out a casting call for gamers to audition for a reality show challenge that recreates the action of God of War III. That's right, if you think you have the guts and mental acuity to make it as a real God of War, then you should totally sign up to be in Last Titan Standing. What do you get for making a fool of yourself on cable TV? $10,000? A tour of Santa Monica Studios, which is busy finishing GoW3 due out March 16? A copy of our home game? Nope. The grand prize to the Last Titan Standing is the ability to play God of War III "before the rest of the world." Congratulations! You get to be a beta tester! You have until this Friday to submit your application, which leaves a short window for those of you who are going to jump on this bandwagon. All two of you. Apparently, the negative attention that The Tester received wasn't bad enough and SpikeTV wants to throw its weight into the needless reality television ratings battle. This is from the SpikeTV website, "We're looking for brute power, acute intellect, and the fasted Playstation 3 trigger finger that's ready to rumble." Quick question: What exactly is a "fasted trigger finger"?